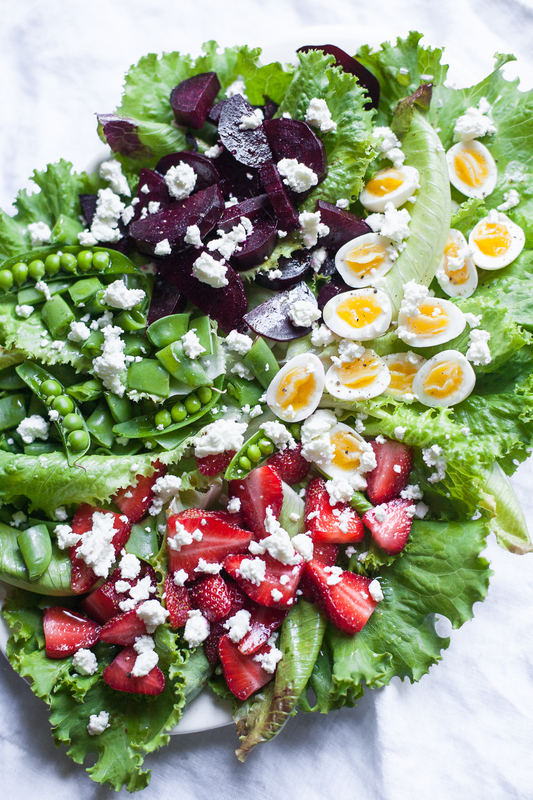 This spring farmers market salad highlights the best of May’s produce, including beets, strawberries, and sugar snap peas, plus local goat cheese and quail eggs. After suggesting the other day that you roast a bunch of chicken and potatoes, I’m here with something truly seasonal: this spring farmers market salad. All of the produce and the quail eggs are from Big Sycamore Farm in Decatur, TN and the goat cheese is from Rafting Goat Cheese in Old Fort, TN, so everything except the dressing is a local ingredient that I got at the farmers market or at the farm itself. Getting my produce from nearby makes a huge difference for me in several different ways. First of all, let’s talk taste. The flavor of local fruits and vegetables is so much better. Pretty much every time I try something new from my CSA box, I say to myself, “These are the best _____ I’ve ever eaten,”. It’s happened with carrots, squash, beets, strawberries, and countless other things. When you’re thinking about vegetables that were picked today or yesterday at a farm in your area and produce from the grocery store that’s already traveled across the country or even the world before getting to you, there’s really no comparison. Fresher fruits and vegetables taste so much better. Also, when you get your goods from nearby, you have the opportunity to go see exactly how everything works at the farm, or at least hear all about it directly from a farmer at the market. You won’t have to wonder just exactly how free-range the chickens are or what the crops have been sprayed with. If you read my blog often, you’ve probably heard me talk about my Big Sycamore Farm CSA. (Wondering what a CSA is? It stands for community-supported agriculture and is also known as a farm share. Find out more and search for one near you here.) Right after moving down to Chattanooga in September, I met Initia and Bertus at the farmers market and bought a leftover box from their summer CSA. 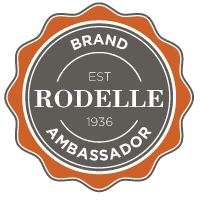 I was hooked by how amazing everything tasted, the wide variety of produce they included, and how convenient it was to get one big box of fruits and vegetables for the week in one fell swoop. I soon after signed up for their winter CSA, which has a short season running from October to December. It’s like a breath of fresh air during the colder months, and the vegetables in my boxes led me to create things like this winter vegetable gratin that I never would have made otherwise. 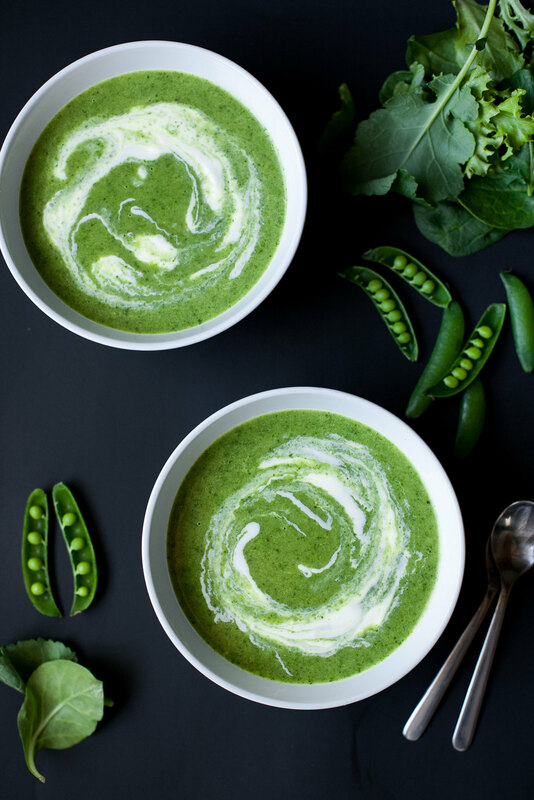 This spring green soup with sugar snap peas is an easy, tasty way to use up greens. With paleo, vegan, and Whole30 versions, everyone can enjoy this soup! I’m pretty much the worst when it comes to using up salad greens. 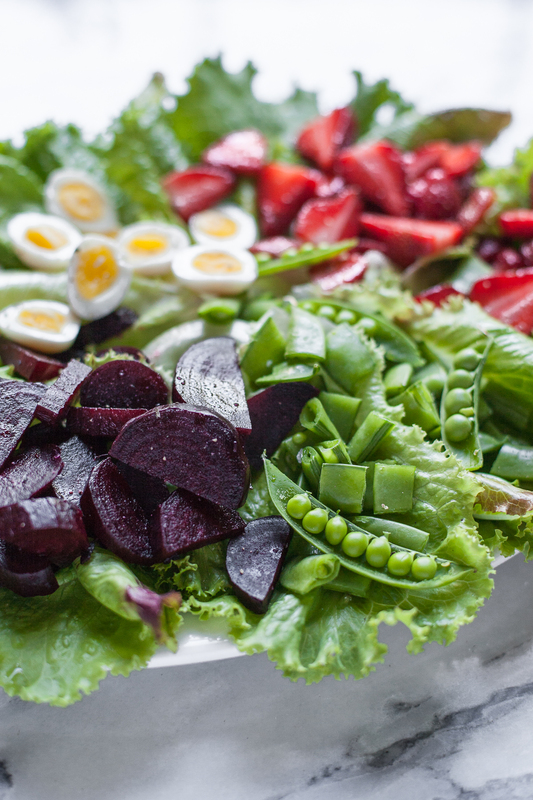 I’m not a salad person but I’m trying to become one, so I optimistically buy heads of lettuce and spring mixes with big plans to make showstopper salads like this one, simple side salads to add green to meals that otherwise lack verdant hues, and everything in between. As you may have guessed, it doesn’t always happen in time. That’s where this spring green soup with sugar snap peas comes in. As I read through the April issue of Bon Appetit, I was excited to find a recipe in which salad greens that are a bit past their prime are blended into a fresh soup with peas and a little potato and topped with a dollop of creme fraiche. It sounded delicious, and like the perfect way to redeem myself by using up lots of healthy greens without having to eat a sad salad. I decided to add a bit of an Asian twist to my soup, throwing some ginger and garlic into the base and deepening the flavors with a splash of fish sauce for umami and a squeeze of lime for acidity. The result is a soup that’s surprisingly light and refreshing, but with an intriguing taste that keeps you coming back for spoonful after spoonful. 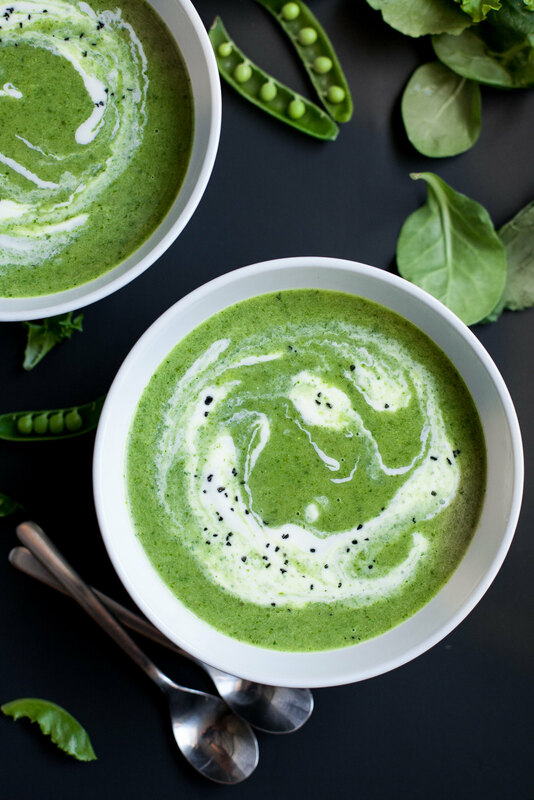 Since this soup is all about not wasting food (and I also wanted to make it easy to create a Whole30-compliant version), I used whole sugar snap peas. Those pods are good for you, and including them means there’s no shelling required. If all you have is frozen peas, though, you can use those instead–that’s actually what’s called for in Bon Appetit’s recipe. 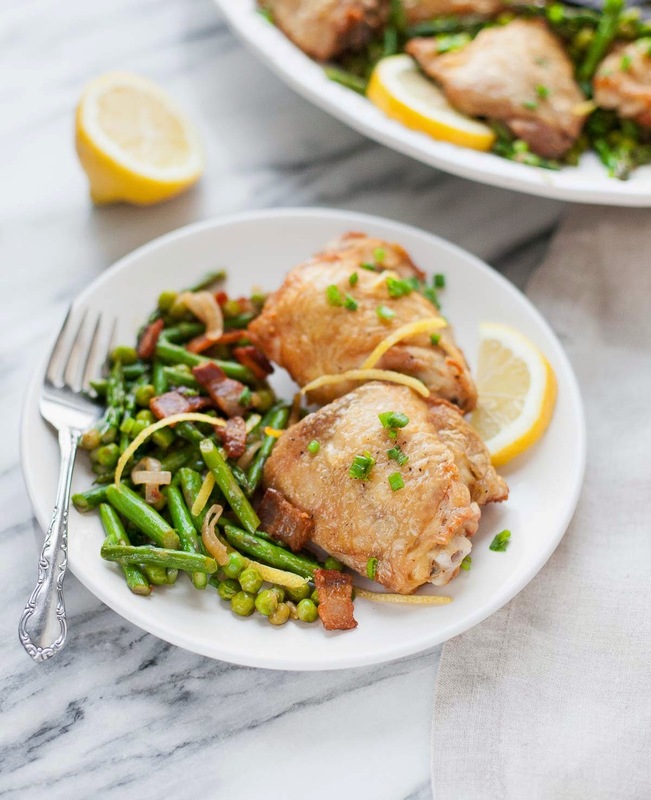 Chicken thighs are my new favorite dinner. 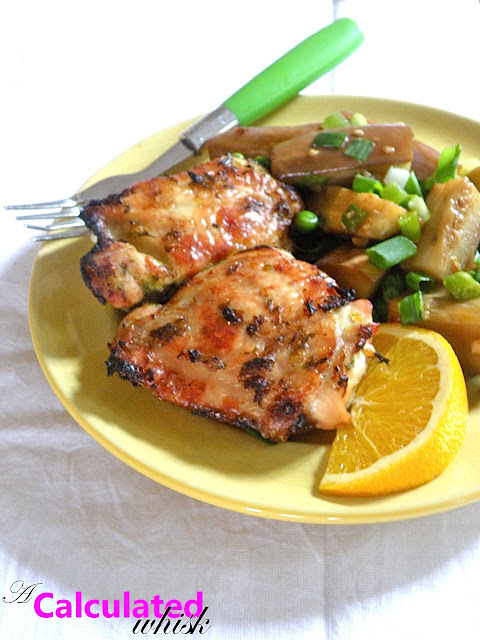 They are easy to make, not very expensive, and very hard to overcook. Since I’m paranoid about undercooking chicken, I like a cut that can stand up to my tendency to cook things a little bit too long. 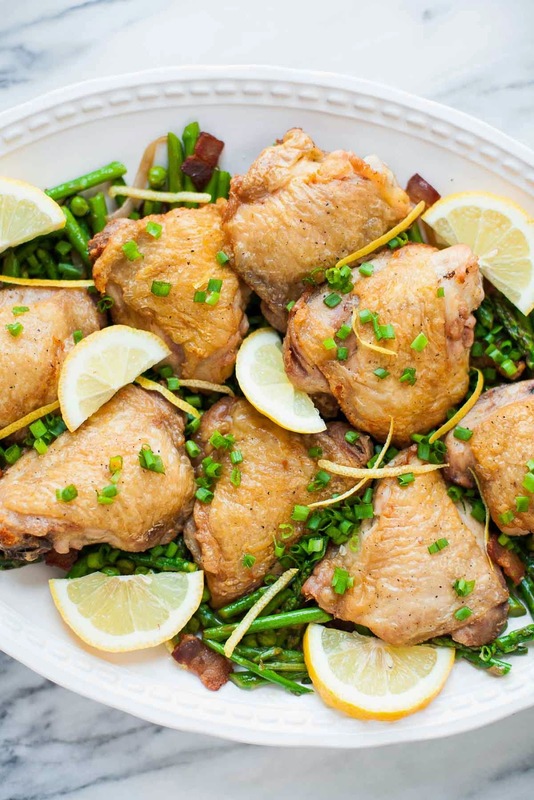 Chicken thighs are also delicious, and the perfect size–not huge and dry like chicken breasts often are.